RMMFI is a community creating economic and social mobility through entrepreneurship. RMMFI helps curious people transform into serious entrepreneurs through personal, business, and financial investments. As a Community Development Financial Institution with over 10 years of experience, RMMFI has supported Denver’s under-resourced entrepreneurs with business development, personal capacity-building, and lending. RMMFI focuses on the "whole entrepreneur" and uses business ownership as a tool for socioeconomic mobility. In 10 years, RMMFI is proud to have 1) distributed over $500,000 in loans to low-income entrepreneurs, with a 95% repayment rate, 2) graduated 23 classes of the Business Launch Boot Camp with an 88% graduation rate, which resulted in the launch or expansion of 199 businesses in Denver, and 3) won the 2016 Small Nonprofit of the Year award from the Denver Metro Chamber of Commerce. 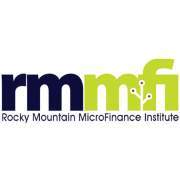 Would you recommend Rocky Mountain MicroFinance Institute (RMMFI)? I have gone through RMMFI's entrepreneurship program and on graduation night, a friend commented he had never felt so welcomed, by the staff, fellow volunteers, and the partners. There is a reason the same people come back year after to year to partner with RMMFI to give back to this community. I look forward to giving back myself.